AntiGravity® Fitness was developed by dancer/choreographer/acrobat Christopher Harrison in 2007. Using suspended silk hammocks in a variety of supported standing exercises and inversions helps you strengthen, tone and decompress your body. 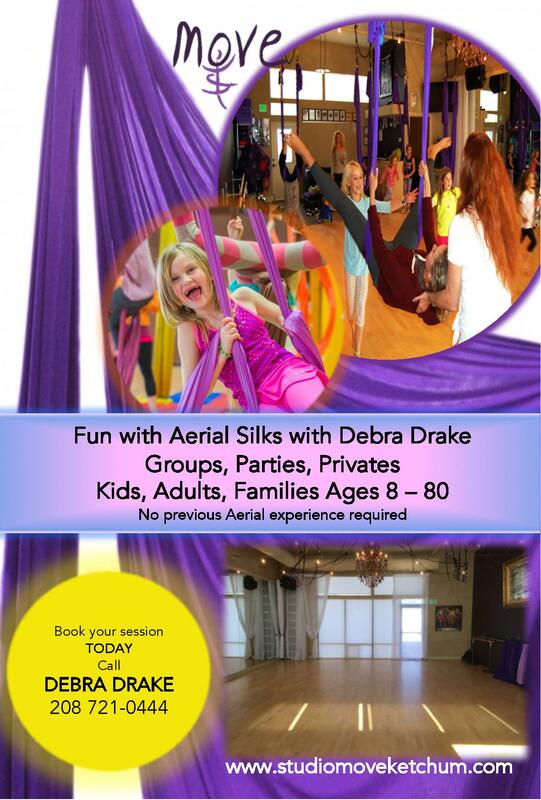 Debra offers Aerial Silk Sessions for Groups, Kids & Families, ages 8 to 80. 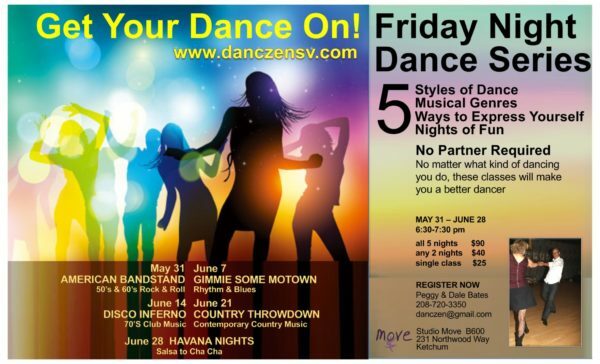 These private sessions are personalized to your groups abilities and age range. No previous aerial, acrobatic, or yoga experience is required. The sessions are fun and accessible to all. 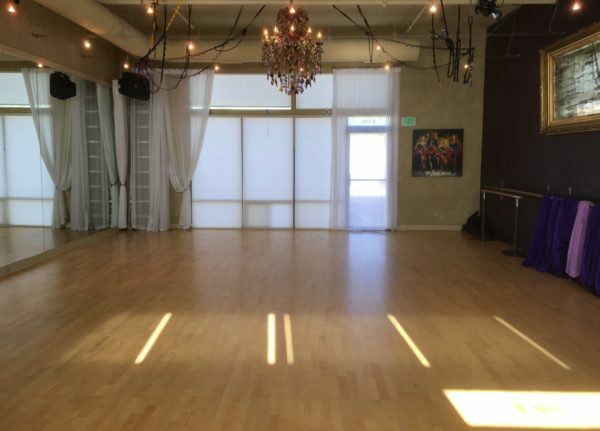 Studio Move is the only Studio in the Wood River Valley equipped with 10 Aerial Silk Hammocks in the Ketchum Light Industrial Zone at 231 Northwood Way, Unit B-600. Private Aerial Sessions are $75/hr. for 2 people, each additional person $15. Imagine all the moving parts of your body flexing and extending while floating weightlessly in space and surrendering deeply into poses; this practice rejuvenates your body, soothes your senses, and calms the nervous system. 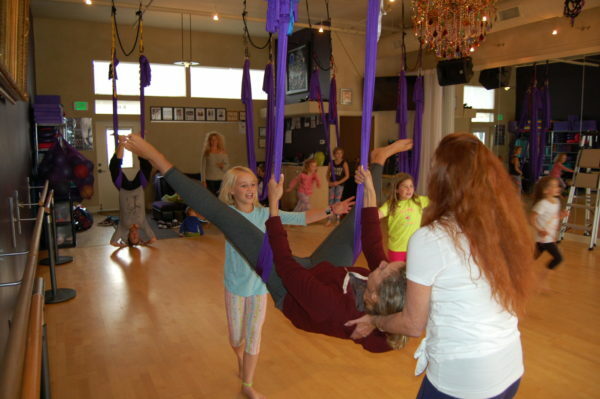 Restorative AntiGravity® Yoga utilizes the silk hammock, 8-12 inches off the floor, to float the body through a series of gentle stretching motions, deeply opening the entire spine, hip girdle, shoulder sockets, and more. 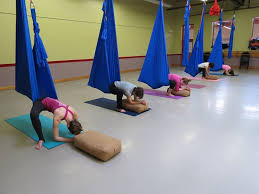 The weightless support provided by the hammock allows the body to safely glide to the extent of its flexibility with zero compression on the joints and connecting tissues, which brings the benefits of detoxification, and the prevention and rehabilitation of injuries. This groundbreaking restorative technique flows like a moving meditation, gently repairing and healing the physical body while simultaneously stilling the mind. No previous aerial, acrobatic, or yoga experience is required.